Learn about the Dangers of a Badly Designed Kitchen - YoursTrulyHandmade.com - DIY, Home Rennovations and a lot of crafts! Kitchen design is even more essential than, say, the lounge or bedroom, mainly due to the dangerous nature of cooking. Sharp knives are being used, along with super-hot appliances, and thereâ€™s always a lot of traffic, people carrying pots of piping hot soup to the dining table, or carrying the coffee pot to the dining table. A typical kitchen is a potential hazard at the best of times, but if the right things are taken into account at the design stage, the end result will be a safe working environment, with the focus on efficiency. The kitchen triangle is the connection between three main components of the room, the stove, the sink, and the fridge. The triangular shape is ideal, with the fridge on an adjacent side to the other two. It is also essential that there is no â€œpassing trafficâ€ between these three points, as this will only cause problems. If space permits, there should be ample sections to move around the kitchen, without interfering with the ongoing activity in the triangle. For those in Western Australia who are thinking of a kitchen revamp, http://www.kitchencapital.com.au/ are the people to talk to, with an in-house design team, one can be sure that the new kitchen will be just perfect. The kitchen requires both general and task lighting, especially over worktops, where sharp knives will be used. There needs to be ample illumination, with certain areas having specific task lighting, which can easily be achieved with LED solutions. A set of pendant lights over the dining area or breakfast island is a must, and with a wide range of materials and designs, one can find something suitable. Even a well-designed kitchen will suffer from bad lighting, so it is important to get it right. All the tools and implements one needs when cooking should be thoughtfully placed, allowing the user to access things without too much effort. Concealment is the heart of any kitchen, and with modern solutions, it is easy to hide things, which avoids a cluttered look. The counter surfaces should be ample for things like a blender or coffee machine, and make sure there are sufficient power outlets, right where they are needed. 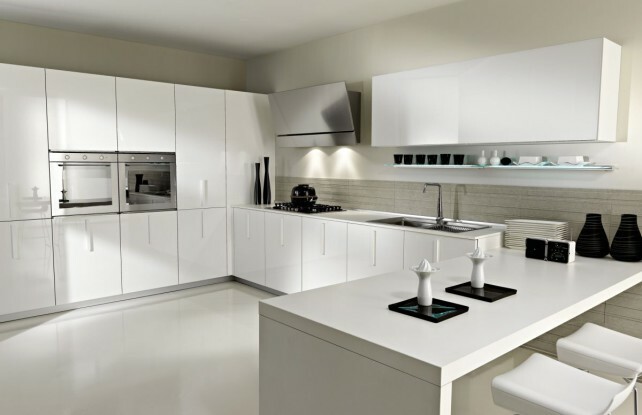 If one is looking for kitchen renovations in Perth, or any other city, there are online companies that can advise on all aspects of kitchen design and installation. This is a critical aspect of any room, especially the kitchen. From a safety point of view, the floor surface should not be slippery, and avoid rugs, as they can easily cause a person to lose their footing. Stone or vinyl are ideal for kitchens, and modern concrete solutions are also trendy, as it is easy to keep clean. There should be no split levels, as this is an accident waiting to happen, especially for guests, who are not familiar with the layout. Professional kitchen design will eliminate the risk of a bad layout, and with expert advice, the perfect kitchen is assured.